In November 1949, architect Frank Lloyd Wright announced the death of “the greatest man in the world,” yet few knew who he was talking about. Enigmatic, misunderstood, declared a charlatan, and recently dubbed “the Rasputin who inspired Mary Poppins,” Gurdjieff’s life has become a legend. But who really was George Ivanovich Gurdjieff? Employing the latest research and discoveries, including previously unpublished reminiscences of the real man, Tobias Churton investigates the truth beneath the self-crafted mythology of Gurdjieff’s life recounted in Meetings with Remarkable Men. He examines his controversial birthdate, his father’s background, and his relationship with his private tutor Dean Borshch, revealing a perilous childhood in a Pontic Greek family, persecuted by Turks, forced to migrate to Georgia and Armenia, only to grow up amid more war, persecution, genocide, and revolt. Placing Gurdjieff in the true context of his times, Churton explores Gurdjieff’s roles in esoteric movements taking root in the Russian Empire and in epic imperial construction projects in the Kars Oblast, Transcaucasia, and central Asia. 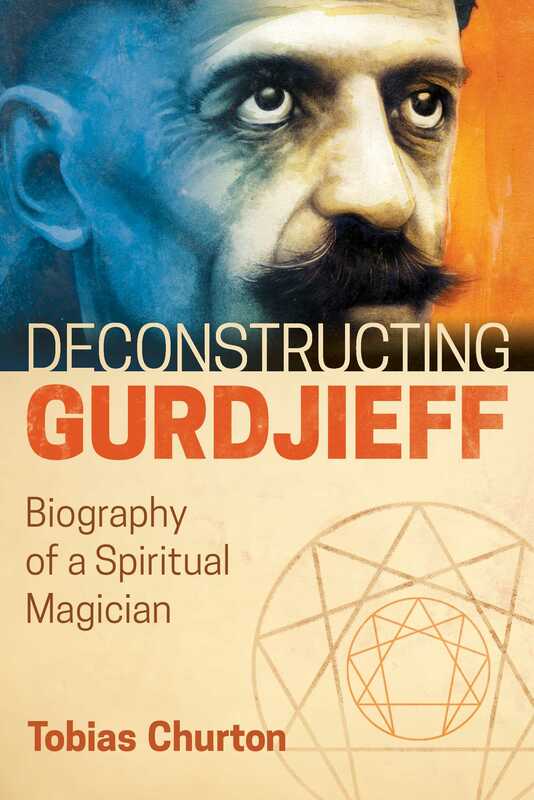 He reveals Gurdjieff’s sources for his transformative philosophy, his early interest in hypnosis, magic, Theosophy, and spiritualism, and the profound influence of the Yezidis and the Sufis, the “gnostics” of Islam, on Gurdjieff’s Fourth Way teachings and the “Work.” Churton also explores Gurdjieff’s ties to Freemasonry and his relationships with other spiritual teachers and philosophers of the age, such as Madame Blavatsky, Frank Lloyd Wright, and Aleister Crowley, dispelling the myth that Gurdjieff forcibly expelled the “Great Beast” from his Institute. Showing how Gurdjieff deliberately re-shaped elements of his life as parables of his system, Churton explains how he didn’t want people to follow his footsteps but to find their own, to wake up from the hypnosis that drives us blindly through life. Offering a vital understanding of the man who asked “How many of you are really alive?” the author reveals the continuing importance of Gurdjieff’s philosophy for the awakening of man. Biographers of Gurdjieff are faced with a serious problem: the extreme scarcity of authentic independent documentation of Gurdjieff ’s life both up to his appearance in Moscow in 1912-13 and between that time and the Russian Revolution in 1917. Gurdjieff was at least forty years old in 1917, his mind, self-appointed destiny, and fundamental attitudes already fully shaped by previous experience. As regards factual support for that experience, Gurdjieff ’s name finds its way into barely a handful of official documents, themselves not wholly reliable. Seismic tumults from the collapse of the old Russian Empire, aggravated by the twentieth century’s immense conflicts and totalitarian vandalism, have sundered and fragmented the historic continuity that might otherwise have yielded collaborative resources from the Caucasus and Transcaucasia regions in which Gurdjieff grew up. Gurdjieff destroyed his own papers during a protracted personal crisis in 1930. We have no volume of Gurdjieff ’s letters or diaries, however slim, to consult. Personal reminiscences of followers, often highly subjective, are frequently at variance with one another and with verifiable facts. Self-perceived as a man apart, a kind of spy in a confused, damned world, Gurdjieff persistently objectified the human beings around him; the first thing Gurdjieff ’s most influential follower P. D. (Pyotr Demianovich) Ouspensky noticed about his teacher in Moscow in 1915 was that Gurdjieff was always acting. Gurdjieff was many men and appeared in many disguises. Was he hiding something, or was he hiding from something? In the Introduction to Meetings with Remarkable Men,(1) written after 1924 and published after his death, Gurdjieff explains that part of his purpose in writing the book is to save himself future trouble in having to answer questions from interlocutors concerning his life and, especially, his beliefs. He complains that such questions have been vexatious to concentration on other more pressing matters and regards these questions merely as ones put by “idle curiosity.” Those interested in his personal life are described as “shameless idlers.” To satisfy their curiosity he has nonetheless, “in revising the material destined for this series [he means this book]” decided to present it “in the form of separate independent tales, and to insert in them various ideas which can serve as answers to all the questions often put to me.” The questions put to him are, he says, to do with the “remarkable men” he has encountered; “marvels” seen in the East; questions of the immortality of the soul; whether or not man has free will; the cause of suffering; the credibility of “occult and spiritualistic sciences”; the nature of hypnotism, magnetism, and telepathy; how he first became concerned with such questions; and what then led him to the system practiced in the institute bearing his name. Gurdjieff, conscious of writing a “new kind” of book, deliberately shaped and reshaped elements of his life and imagination as illustrations or parables of his system. He dramatized ideas. The ideas might be real but individual characters may not be, though their behavior may be truthful regarding human nature or Gurdjieff ’s ideas of ideal or misguided action, observed from experience. In the case of Gurdjieff ’s book, Gurdjieff is principal actor as well as narrator, and elements of his experiences, fantasies, prior reading, and thoughts--and what he considers the fantasies and expectations of his readers--play the parts; Gurdjieff “sings their tune.” We can see why Gurdjieff has most appealed to actors, dancers, musicians, painters, impresarios, and storytellers, those especially conscious of the role of symbol and its encoding in artificial forms of address. Artists get or “cotton on” to congenial aspects of Gurdjieff, whereas more prosaic, sometimes troubled minds--perhaps his principal following--struggle with it all, often for years, perennially taking the “black devil” too literally, perhaps too respectfully. Gurdjieff ’s idea of science was that of the ancient Magi, not the modern classroom. He barely ever disguised his loathing for what today is called, without irony, higher education. I personally suspect he had a chip on his shoulder about never having graduated from university, so vehement were his repeated digs at “wiseacreing,” an ungainly word (in translation) that occurs with tiresome, arguably obsessive repetitiveness throughout all his writings and talks; followers have picked the word up and scatter it like buckshot from on high at critics. Gurdjieff was a “university of life” type of graduate, cynical about cynics. Perhaps to lend authority to conviction, he even invented from the store of reality and myth the archetypal sacred university of wisdom--the Sarmoung Brotherhood--a body of such exalted spiritual purity and genuine universality of insight that its denizens would never soil their elegant hands with the muck of modern education reliant on paper qualifications and bookish memory learning. Unlike the professional talkers and establishment-acceptable pundits, the self-taught apparently polymathic, autodidact Gurdjieff could turn his hand to anything and persuade people to do things they never dreamed of doing. He was the man you’d think you’d want in a real crisis. He talked the talk because, as far as he was concerned, he had walked the walk. Unfortunately for historians and biographers he mostly fictionalized the walk. He didn’t want people to follow his footsteps, but to find their own. Gurdjieff ’s “Men” are remarkable insofar as they have recognized that the true value of life comes only when that life consciously acquires mythic dimensions, when one, with feet on the ground, has yet traversed the stars and touched the beyond. Remarkable men have seen something unremarkable men have not. Such men should engage our attention. Was Gurdjieff himself one of them? "Churton's remarkable ability to make a coherent narrative out of disparate information while also weaving in other research interests, such as the influence of Aleister Crowley, makes this a valuable resource for those familiar with Gurdjieff's work, and it's easily readable for those coming fresh to the topic."